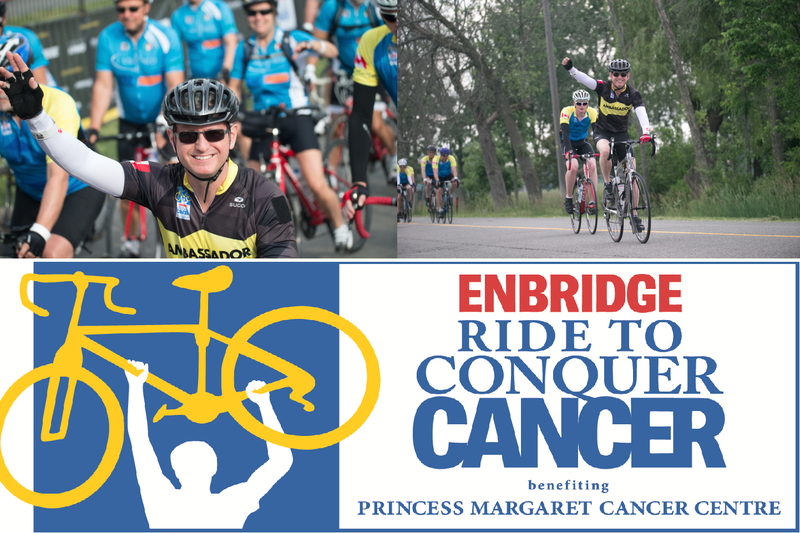 2018 will mark Jay Hodgins 6th annual participation in this incredible fundraiser. Jay earned Gold Status as a fundraiser for having exceeded fundraising goals. Jay rides with his teammates Den Bosch and Finchley yearly. Jay led a team of interior designers in relocating Gilda’s House (Cancer Wellness Center) to their new location in downtown Toronto. His leadership and contribution of time lead to the creation of a comforting home full of warmth, laughter and emotional support for those touched by cancer. Jay assisted the Co-Chairs Frank Toskan and Darren Zakreski, in establishing the environmental decorative feel for the event. 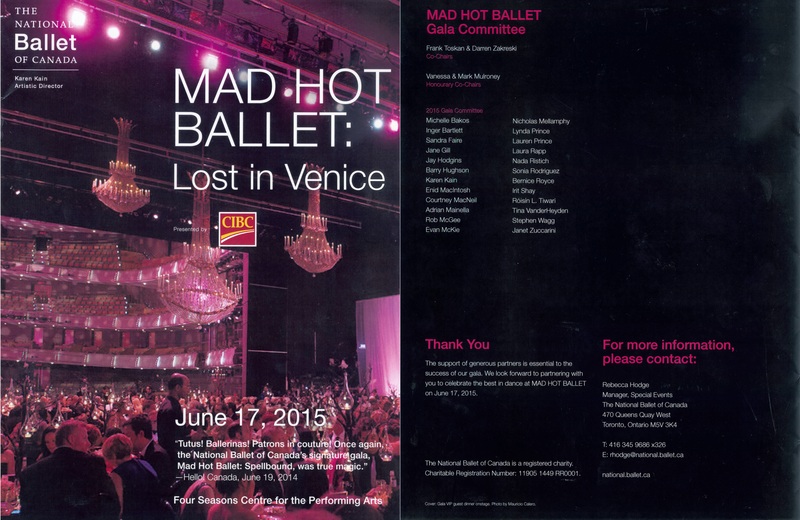 This is the largest fundraising event hosted yearly for the National Ballet of Canada. 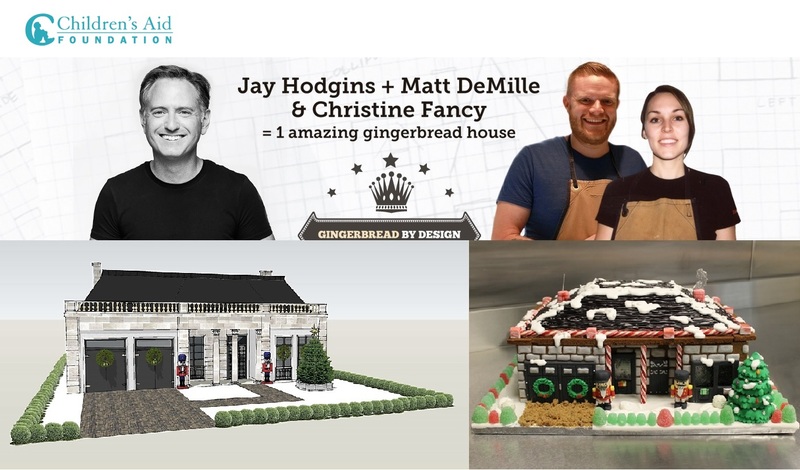 Jay teamed up with Head Chef Matt DeMille and Pastry Chef Christine Fancy of the Drake Deveonshire to participate in Gingerbread by Design 2015 and 2016. Local Toronto Design firms created individual gingerbread houses that were auctioned off to raise money for the Children’s Aid Foundation. Jay supports Gilda's house by donating original artwork to their yearly auction fundraiser. 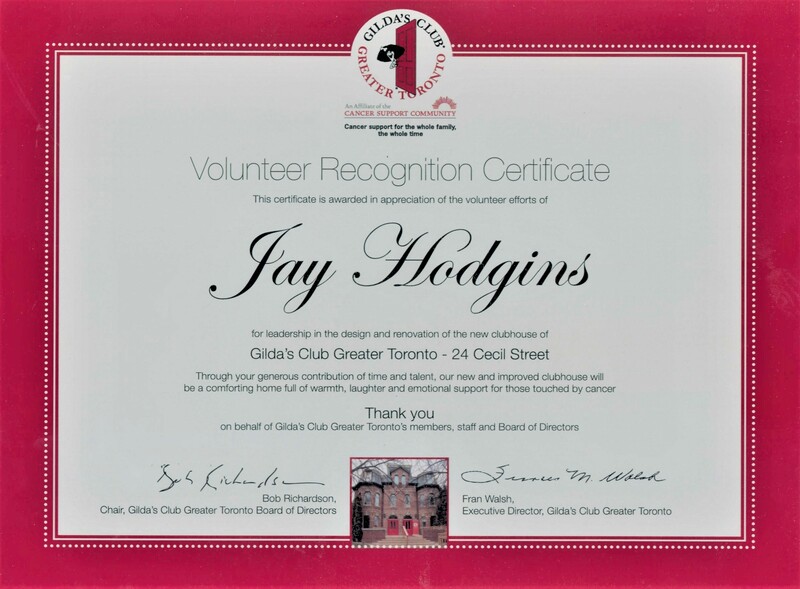 Gilda's House is a Toronto based Cancer Wellness Center that provides support for those touched by cancer.